Italy is generally not considered the mecca of long-distance cruising yacht builders. 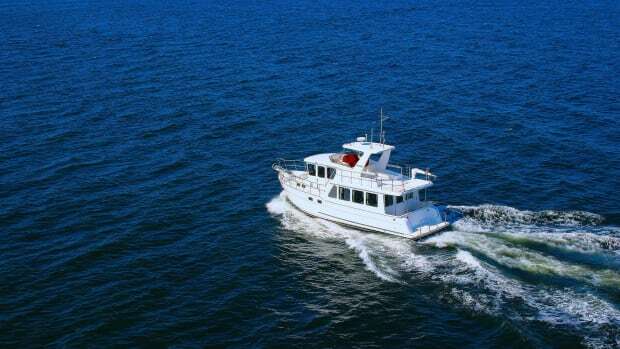 Most manufacturers of the trawler variety are built in Asia such as Marlow, Fleming, Grand Banks and others. But Italy? This is by no means a knock on Italian builders. Some of the most prolific advancements in the marine industry have come from Italian shipyards. But when Absolute Yachts first released their Navetta Series, everyone stopped and took notice. Aimed at the cruising enthusiast that prefers the luxury, speed, and amenities of a traditional Italian motor yacht, but also desires fuel efficiency and high performance, the Navetta Series succeeds in every class. Four Navetta yachts are currently offered starting with the latest model to premier, the Navetta 48, and ending with the flagship Navetta 73. Absolute’s ability to produce quality cruising yachts at highly competitive price points has allowed them to become established among the top builders in the world. Absolute’s Navetta 58 combines unique exterior lines with Italian luxury and Volvo fuel efficiency. Innovation is at the core of Absolute’s DNA both in the capacities of their shipyard and in the design of each new yacht. 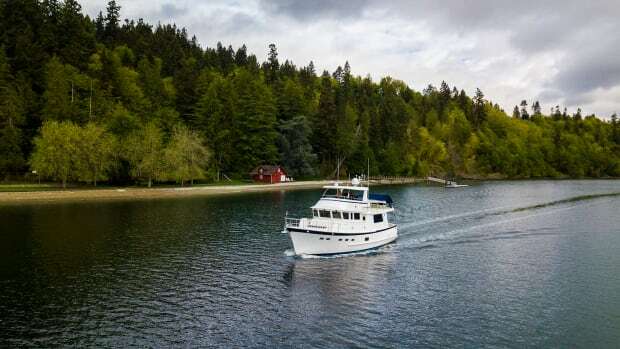 Best known for its advanced 3D modeling and cutting-edge technology, Absolute has also invested in the environment by having one of the most ecologically-friendly shipyards in the world. Absolute was also one of the first builders to pioneer Volvo’s IPS propulsion system which offers the best possible performance and efficiency, while also reducing noise and vibration. These efforts culminated with the Navetta 73 winning the Best Innovation Award in 2017. Absolute has even refined its manufacturing chain. Every stage of the hull construction and boat assembly has its own unique processes. Absolute has integrated all of these processes together in each stage in their factory, resulting in a more efficient build time and higher level of quality control. 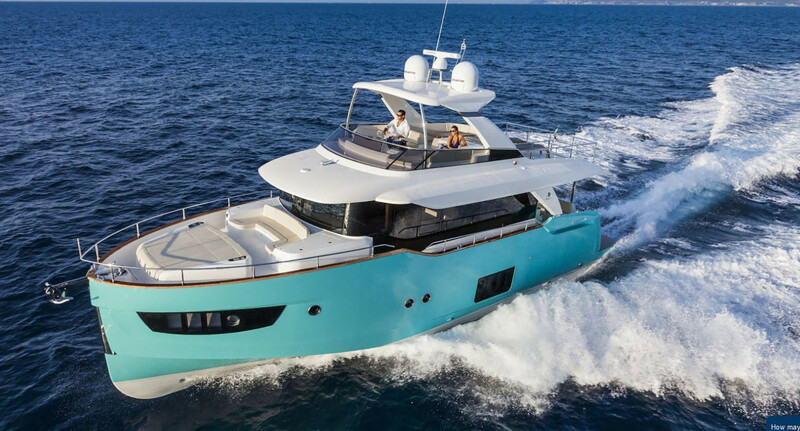 Most recently, Absolute announced that it will be among the first to incorporate Garmin’s new EmpirBus Technology in the Navetta 48. Acquired by Garmin in early 2019, EmpirBus components allow owners to easily control virtually any device on their yacht such as propulsion, air conditioning, and pumps thereby enhancing time spent on the water. The Absolute Navetta series was born for long distance travel. Each Navetta model features a strong fiberglass structure that incorporates a multi-dimensional grid that covers the entire boat. This Integrated Structural System (or ISS) is laid in place and bonded to the hull. Once that is in place, the bulkheads, deck, ceilings, and floors are all bonded together and supported by fiberglass. This results in one single, main structure with unprecedented strength and durability to which the Navetta’s impressive seaworthiness can be attributed. Utilizing Volvo Penta’s most efficient engines, all of the Navetta models offer a fantastic fuel burn and nautical range that is imperative for any long-distance cruiser. Volvo’s inboards are widely respected as low consumption, high performance engines that also have reduced vibrations. The Navetta 73 is outfitted with twin Volvo Penta D-13 IPS 1350hp engines allowing for a top speed in the mid-20 knot range. 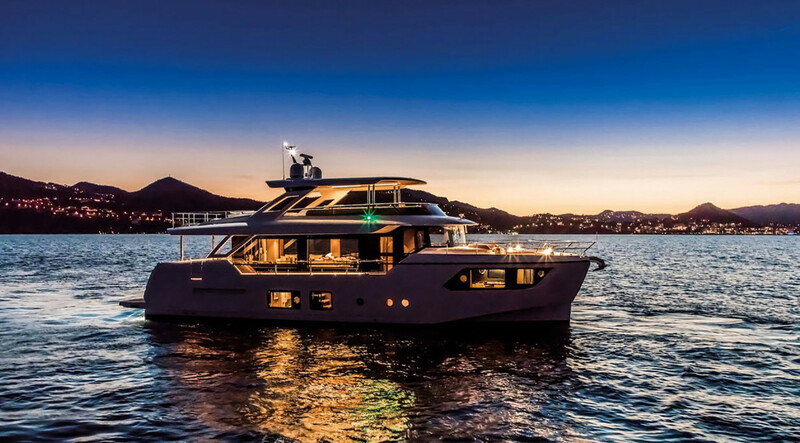 By bringing her down to just under 9 knots, the Navetta 73 can achieve a 9 gallon-per-hour fuel burn and a nautical range over 915 nautical miles. While trawler-style fuel consumption is achievable, the ability to cruise in the high-teens ,and still be more efficient than the traditional motor yacht, separates the Navetta into a class of its own. Even the Navetta 48, which can reach 27 knots, is also highly fuel efficient at under 6 knots and a nautical range of 1,471 miles. While Absolute’s performance and efficiencies are impressive, the true differentiator between the Navetta line and the more traditional long-distance cruiser are its motor yacht lifestyle attributes. 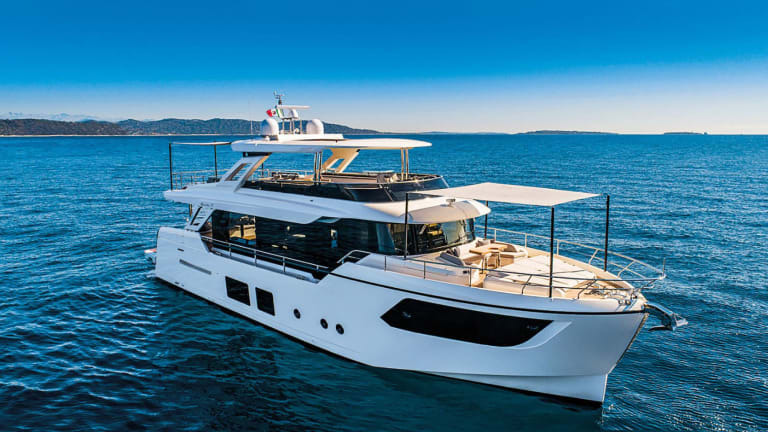 From a retractable sunroof in the flybridge hardtop to the amazing bow lounge and sunbathing areas, the Absolute Navetta series is designed for fun as much as they are for cruising. Each of the Navetta models has a specially designed bow area for socializing or laying in the sun. U-shaped couches on the Navetta 58 and 73 provide an exhilarating spot to sit while the boat is underway and the over-sized sunpads on all models have adjustable backs that allow the sunbather to lay at an angle or even convert them into forward-facing lounges. Each Navetta has an inviting aft cockpit space as well complete with a shaded dining area as well as additional seating and storage. 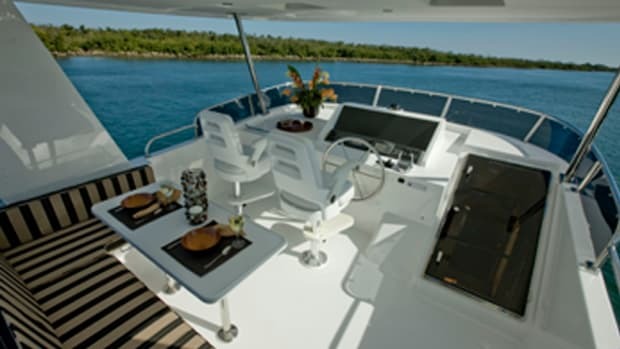 Having dedicated spaces for enjoying relaxing on board your yacht can make cruising for longer periods much more enjoyable. The Absolute Navetta 52’s aft cockpit provides a wonderfully shaded area for dining al fresco. Absolute’s focus of space and light on board their yachts is apparent throughout the interior of each Navetta model. Massive windows line the sides of the salon and dining area providing exceptional views, but also an abundance of natural light. This theme continues in the lower deck as the master and VIP staterooms also have large hull-side windows that open for ventilation. Owners who cruise for weeks at a time know the feeling of being closed up in a lower deck with no windows. 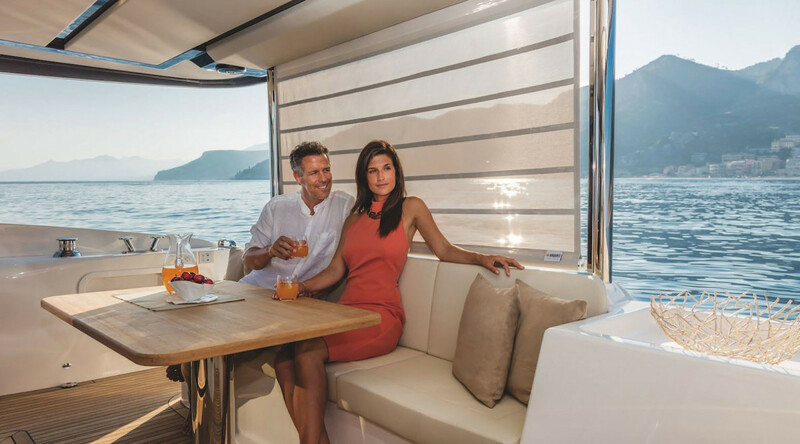 Absolute’s commitment to making sure natural light is able to penetrate every room on the boat maintains a feeling of openness and change as your journey progresses. Even the smallest model offered, the Navetta 48 has spacious interior accommodations that make extended cruising trips possible. Three cabins with two bathrooms on board provide plenty of opportunity for relaxation during your trip. The master suite features a king-sized berth, en suite head, and a variety of hanging lockers and storage spaces. For the couple that cruises alone, the third guest stateroom can be converted to an additional storage closet if longer adventures are planned. The queen-sized berth in the generous VIP stateroom also keeps any guests on board well-rested and comfortable. As the models move up in size to the Navetta 73, the accommodations on board only grow in space, capacity, and opportunity for customization. 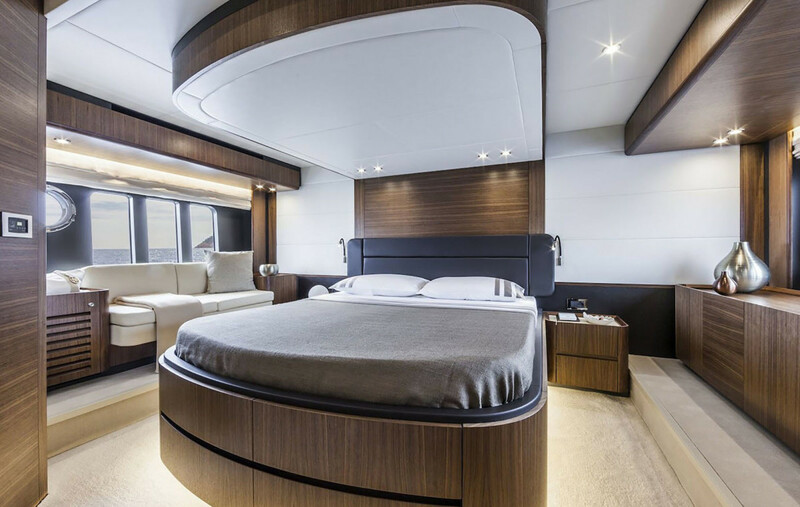 The master suite on the Absolute Navetta 58 features multiple hull-side windows for light and significant ventilation. Since 1964, SI Yachts has been the most powerful new yacht dealer and yacht brokerage firm in the Northeast. As an Absolute Yachts stocking dealer, there are multiple new Navetta and Flybridge models available to tour at our Staten Island Marina location at any one time. If you’re interested in Absolute, or one of our other new cruising yacht brands of Viking, Princess, or Prestige, please give us a call at (718) 984-7676. Currently own a yacht and need to sell it? 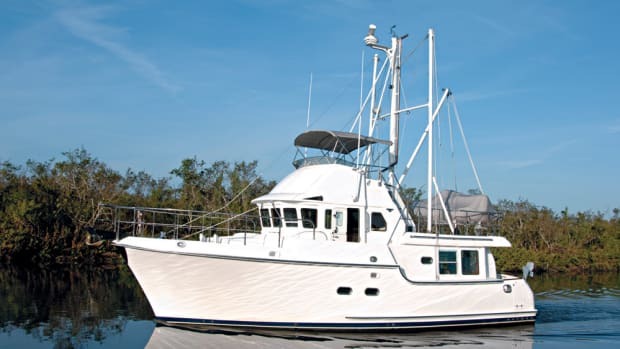 SI Yachts Diamond Listing program provides amazing visibility and marketing techniques to sell your yacht quickly and efficiently.